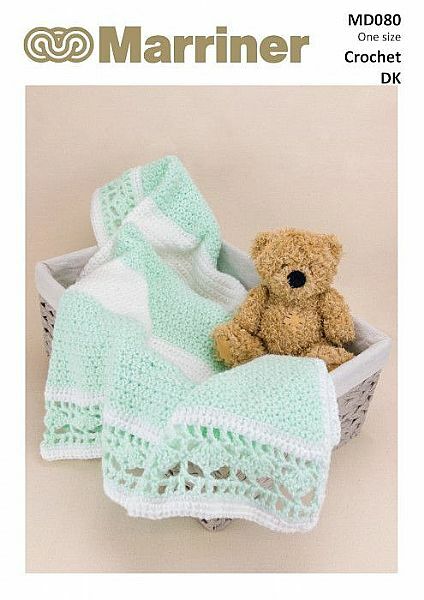 A lovely baby blanket crochet pattern with a lacy effect pretty border. This is made with our Supersoft Baby DK yarn in the colours White and Mint. 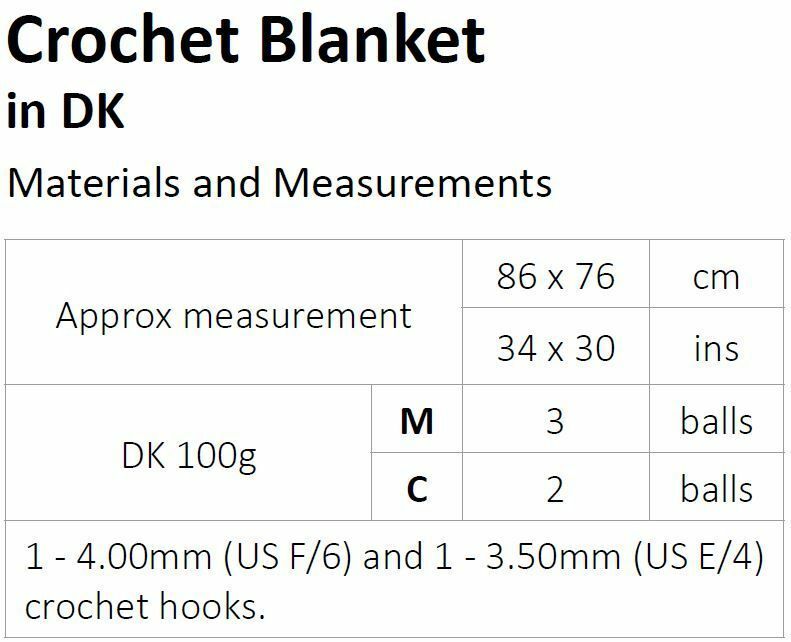 Hooks required 1 - 4.00mm (US F/6) and 1 - 3.50mm (US E/4) crochet hooks.